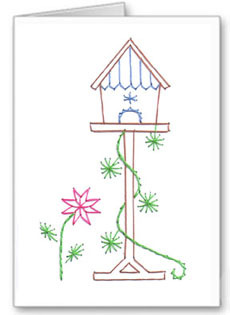 A lovely stitch card pattern, ideal to make for someone who has just moved into their new home. This card is also suitable for birthday greetings as well as mother's day. It has been stitched in a variety of different coloured threads but you could use any colours of your choice.